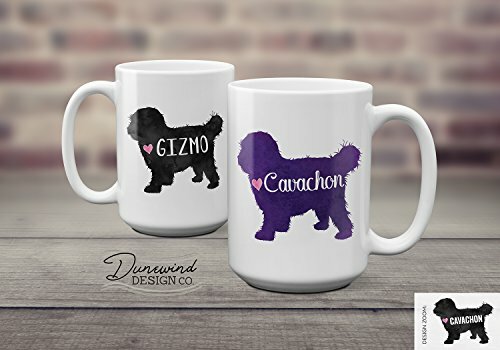 Have a Cavachon pup or just love the breed? 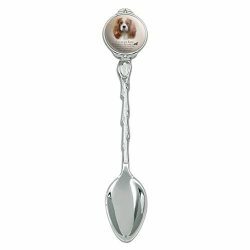 Need a gift for a Cavachon or dog loving friend? 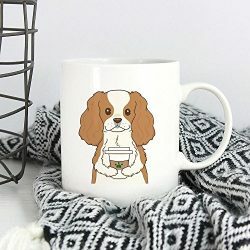 This adorable ceramic coffee mug is perfect for you! 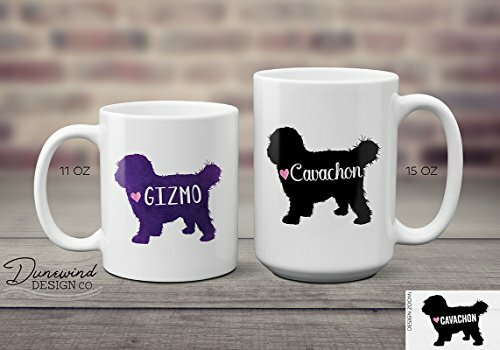 Featuring a Cavachon dog silhouette in your choice of “watercolor” pattern OR solid black (See images for color options including blue, green, red, pink, purple, black, orange, and blue/green. Featured image show black and purple). 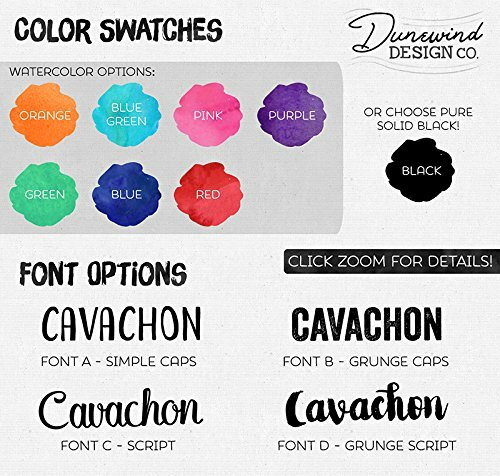 ► Choose the word “Cavachon” or customize with your own text (like your dog’s name) instead. 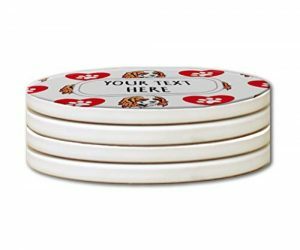 We will customize the design with the text and send you a digital sample/proof through messaging to review for approval. Please let us know if you approve or have adjustments. If we do not hear back in 48 hours the mug will ship out without approval. 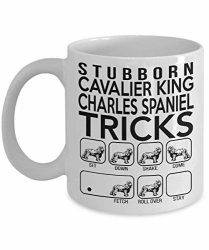 Design is two sided and on both sides of the mug. Design is printed/a permanent part of the mug. NOT vinyl or a decal. 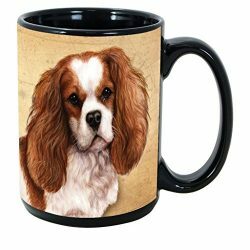 Please note: Each mug is created in our home studio upon ordering so please allow for slight variances in placement and size of the design as this is a handmade item. Colors shown are approximate and may vary with different monitors. During the design process Electronic/Digital proofs are intended for content and position only. 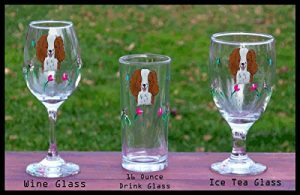 Colors can vary slightly between different items and different print runs so please allow for the possibility of very slight variances from sample/chart.